Flasher! 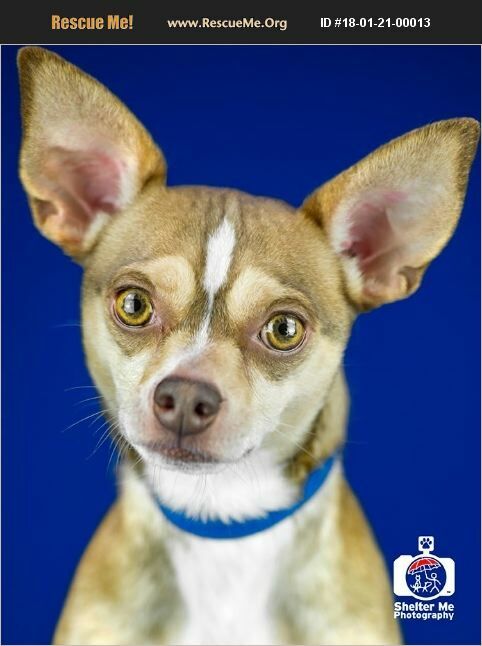 This sweet boy, is such a love bug - he gives endless kisses and just wants to be your Pal! He'll have you laughing and will jump in your lap for some lovins. He likes to play fetch like a large dog and is just pure joy to be around. During our time together, I did NOT want to put him back into his house, I wanted him to be with me constantly! Such a great dog to be around Flasher is about 4 years old or so, he was not being cared for, left out in the yard with little to no attention and/or love. Flash just wants to bond, he wants to make you happy, he wants to give you kisses and make you laugh. He's a people pleaser - all he wants is to see you happy with him ADOPT FLASH! (Flash is becoming a bit frustrated in the kennel environment and has shown a few concerning behaviors. No children under 15 years old for Flasher, no cats and dogs his size, possibly - no large dogs). We are calling Flash a Jack Russel / Chi mix!